From disembodied voices, screams, and giggles to mysterious apparitions, all of these hotels are all said to be a hot spot for paranormal activity. If you’re looking for a creepy vacation then why not spend the night at one of these haunted hotels and see if you can experience something otherworldly yourself! 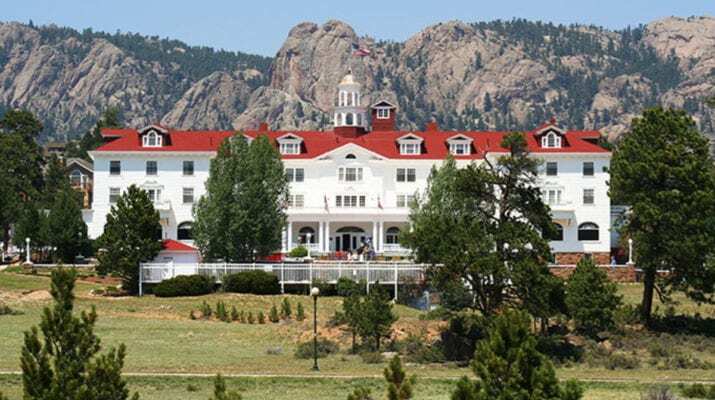 The Stanley Hotel, Estes Park, Colorado, U.S.A. The Stanley Hotel. Credit: Scott Dressel-Martin. Situated in the Rocky Mountain National Forest is The Stanley Hotel, a grand Georgian colonial revival style hotel. 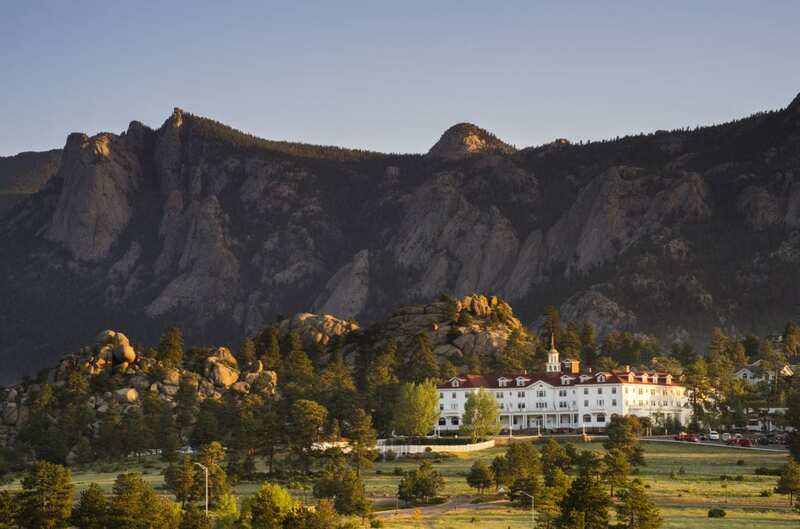 It boasts of panoramic views of the Rockies and was once the summer destination for Theodore Roosevelt. Opened by Freelan Oscar Stanley in 1909, it cost an estimated half-million dollars making it one of the most expensive hotels in the United States at the time.1 The hotel is arguably most famously known for being the inspiration for the Overlook Hotel in Stephen King’s “The Shining.” When King lived nearby in Boulder, he and his wife once stayed the night. The film adaption of “The Shining” plays on repeat on one of the hotel’s television channels. One of the most haunted rooms in the hotel is said to be Room 217, where King and his wife stayed. It was also in this room where a housekeeper was badly burned in 1912 when a gas lantern exploded as she attempted to light it. Guests report of objects moving on their own accord and apparitions of a young woman. It’s so haunted that Jim Carrey asked to be moved to another room when filming “Dumb and Dumber.”2 The fourth floor is also said to haunted by children who can often be heard gallivanting around and giggling. If you’re lucky, you may hear the pleasant sound of a piano despite the fact that the piano chair is empty. Stanley’s wife was said to be an avid piano player. Some people have even caught a glimpse of Stanley and his wife passing through the lobby. The Crescent Hotel, Eureka Springs, Arkansas, U.S.A. The Crescent Hotel. Credit: The Crescent Hotel on Facebook. The Crescent Hotel is an architectural wonder that was built in 1886. 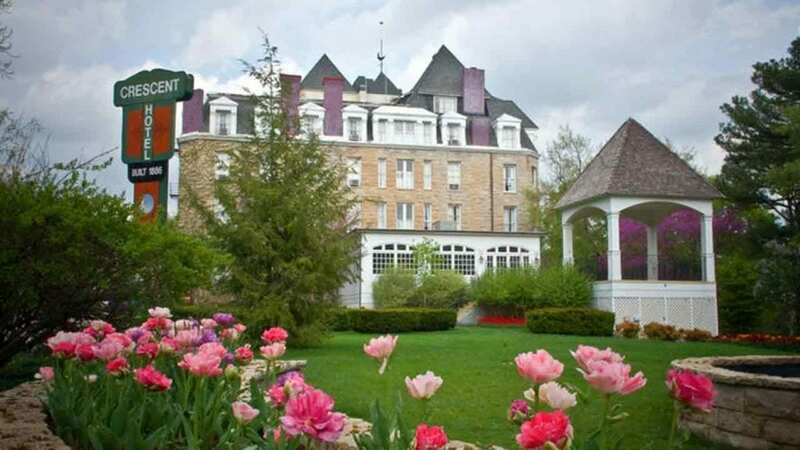 Perched on top of a hill, The Crescent Hotel overlooks the quirky town of Eureka Springs, Arkansas. It was hailed as “America’s most luxurious resort hotel,” and became a haunt for the elite.3 The good days were short lived, however, and the hotel was soon left abandoned before becoming the Crescent College and Conservatory for Young Women. During the Depression, this too closed. In 1937, the hotel was purchased by Dr. Norman Baker who believed he could cure cancer despite having no medical training or experience. A couple of years later, Baker was arrested for fraud. 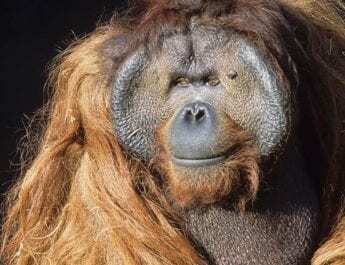 It was said he stole around $4 million from his cancer patients and even hastened their deaths. The Mermaid Inn. Credit: Phillip Capper. 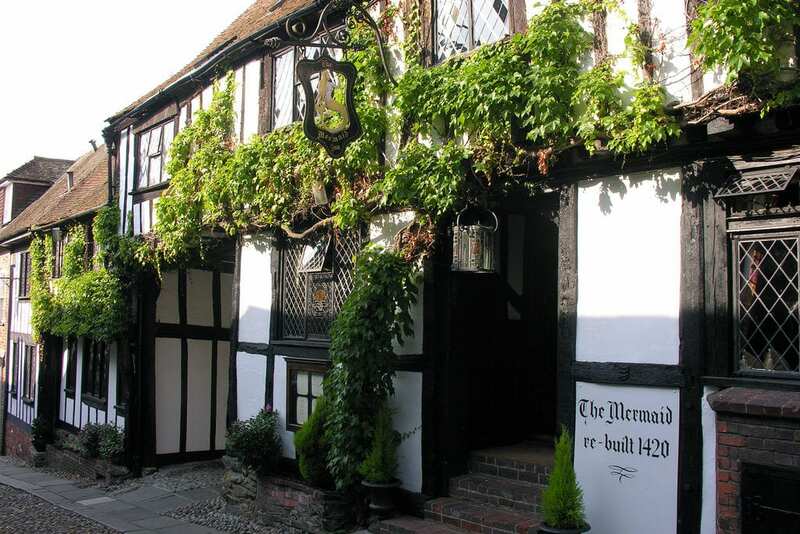 Many of the rooms at The Mermaid Inn are said to be haunted. 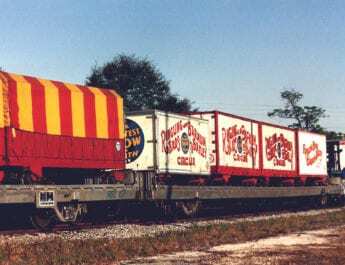 Inside the Nutcraker Suit, guests have reported seeing a ghostly woman in white who parades across the room, even giving some terrified visitors a glance. Inside the James Room, you can maybe catch a glimpse of a lady in white sitting by the fireplace. Guests have also found their clothing which they left on said chair to be soaking wet. The Fleur de Lys is reportedly haunted by a man who walks across the bedroom floor and into the wall. A maid who was said to have been murdered by the Hawhurst gang is said to be a regular at the Mermaid Inn. 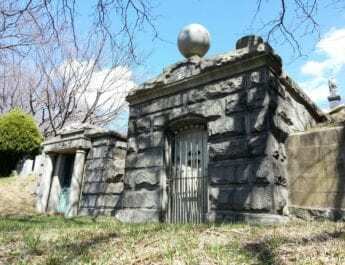 Other than the ghosts, guests have witnessed unexplained lights appearing during the middle of the night as well as books and bottles falling from the shelves. Chillingham Castle. Credit: David Clay. Unlike most historic properties in the United Kingdom which are now run by preservation trusts, Chillingham Castle in Northumberland is privately owned and has been in the same family for over 800 years.6 The grand dwelling is filled to the brim with eccentric artefacts and fascinating family heritage including a newspaper article detailing how Arthur William Wakefield, the owner’s great uncle, came within 500 metres of Everest’s summit before an avalanche forced him back. As well as the quirky oddities, there is evidence of a more gruesome past. The Hanging Trees within the gardens date back to the 12th century when the castle was used as a notorious prison. From these trees, prisoners were hanged – “upwards by the wrists to dislocate the arms, sideways with a rope around the waist which bores into the kidneys or upside down.”7 In the old torture chamber is a sloped floor to drain the blood. 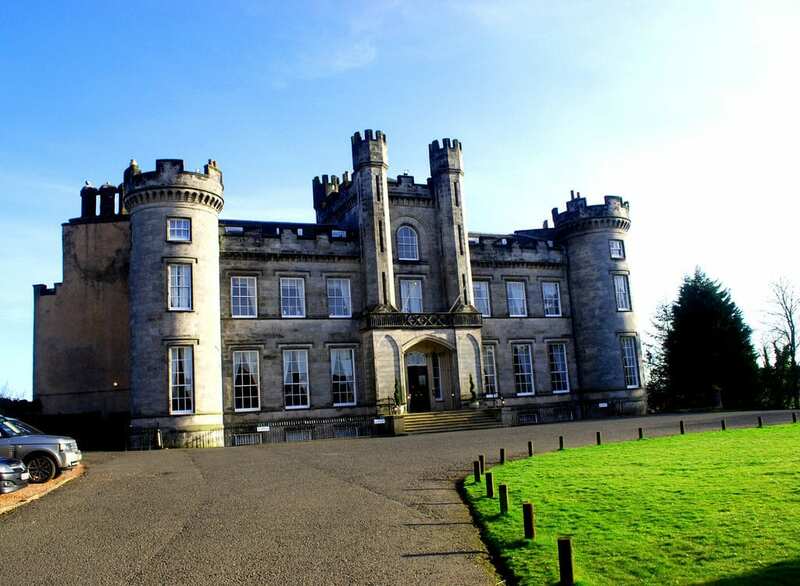 The castle and the grounds are open to visitors and is a popular wedding venue. There are self-catering apartments if people are brave enough to stay the night. In 2016, Chillingham Castle was declared “the region’s spookiest resident.”8 Therefore it is no surprise to learn that the castle supposedly has several ghosts lurking between the walls. 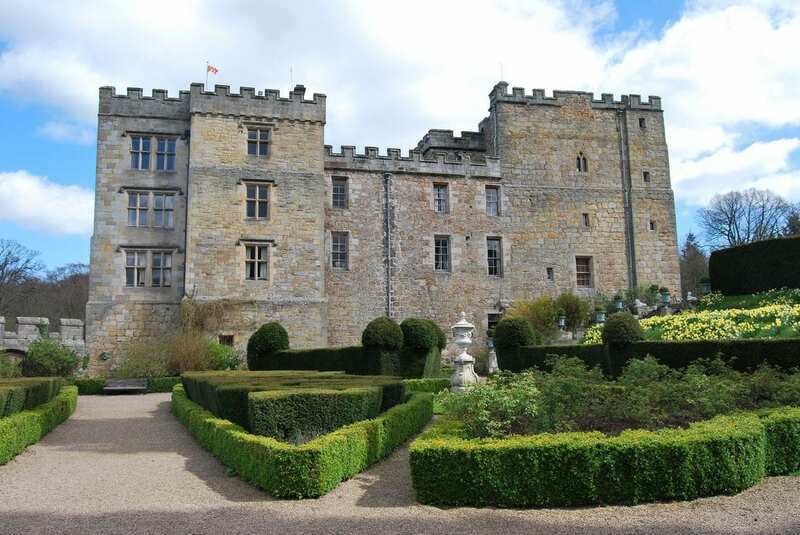 In 1298 , Edward I stayed in Chillingham Castle as he was on his way to attack William Wallace. It’s said that the king’s room is one of the most haunted rooms inside the castle. Another resident ghost is the “Blue Boy” who lets out a deafening wail as he appears to unsuspecting guests. During renovation, the remains of a young boy was discovered alongside blue cloth within one of the walls. Many guests have reported hearing disembodied voices in the chapel which is said to also be haunted by Lady Grey. She was a jilted wife who came to live at Chillingham after her husband eloped with his own sister-in-law. It’s said that in the 1800s, the governess who ran the home became jealous of the family and set the castle on fire. The children of the family were trapped upstairs. The governess ran back up in an attempt to save them and all three perished in the fire. Guests have reported waking up in the dead of the night to see a ghostly woman standing at the side of the bed enquiring: “Have you seen the children?”10 When the confused guest asks who she’s referring to, the woman disappears through a cupboard or wall. Other visitors recount seeing two children playing in the corridor or hotel rooms before disappearing into thin air. While you may not catch a glimpse of the ghostly children, guests can often still hear their disembodied laughs. You may even feel a nibble at your ankle which is said to come from a ghost dog who roams the hallways.11 Even more chilling, people have reported hearing cries and screams that are said to be from a maid who was attacked and left to die inside the castle.